1.0 The WLU Act 1973 (amended 2001) provides for broad representation on the Board of Governors to ensure that all members of the University community have a voice and input. Among these representatives are two members of the Board of Governors to be elected by administrative staff from among the administrative staff. The purpose of this policy is to ensure broad representation of the University’s administrative staff by stipulating that the two positions shall not be occupied concurrently by two members of the same employee group. The list of eligible employee groups comprising administrative staff can be found in Appendix A: Procedures. 2.0 Administrative Staff: is defined in section 2. (1)(a.1) of The WLU Act 1973 (amended 2001), as “employees of the University and any federated or affiliated college, but does not include persons who are members of faculty or persons who are academic librarians”. 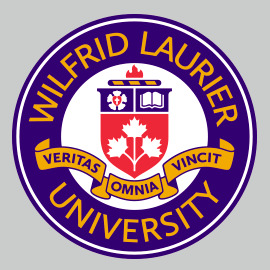 3.0 This policy applies to the election of administrative staff to the Board of Governors of Wilfrid Laurier University. 4.0 This policy and the related procedures are created in accordance with section 8(2) of the Act, which states that “the members to be elected under paragraphs 6, 7, 7.1, and 8 of subsection 1 [viz., faculty, student, and staff representatives] shall be elected in such manner and in accordance with such procedures as are determined and established by the Board of Governors. 5.0 The University Secretariat or its designate shall conduct elections for administrative staff representatives to the Board of Governors as stipulated in the Act and in such manner so as to ensure that the two administrative staff positions will not be occupied concurrently by members of the same employee group.